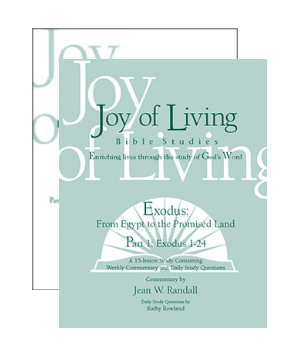 Exodus tells how God redeemed the people of Israel from slavery in Egypt, and how He guided them to the Promised Land. Within the book of Exodus, God’s purpose in history is revealed through this account of redemption, covenant, and the building of the tabernacle. Selections from the books of Numbers, Deuteronomy, and Joshua are included in Part 2 of this study series.